This Boundary Signage / Site Sign Carrier is the ideal way to promote your brand to passers–by on the roadside. Large in size, the Glasdon Gateway is bright and highly visible and can be configured in many different shapes. Perfect for schools, leisure sites and businesses the boundary sign carrier is made from an Everwood™ Material which is resistant to rust, corrosion and rotting. These outdoor advertising displays can be easily wiped clean and its low–maintenance value ensures it never needs painting. 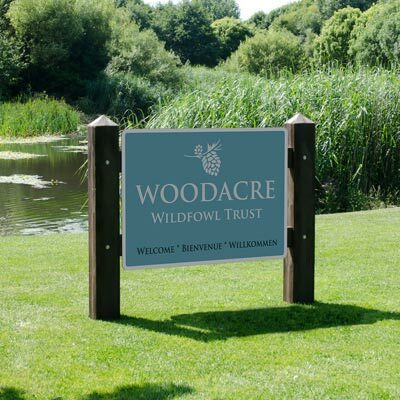 Used by hotels, recreation centres and wildlife trusts the Glasdon Boundary Sign works with your companies existing signage, or give you the opportunity to creates new ones.